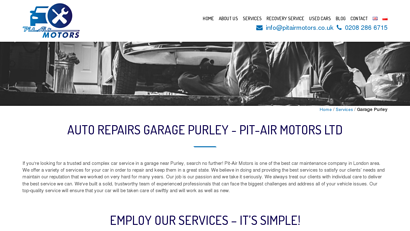 If you're looking for a solid, reliable car repair service in Purley, our garage is what you need. Pit Air Motors is one of London's leading providers of car repair services. With the amount of experience our employees have and the professional, high-end equipment that we have at our disposal, we offer a service rivaled by no other company in the field.